There’s nothing more frustrating and challenging to deal with as a property manager or landlord than when a tenant fails to pay rent. On one hand, there are tenants who are usually good at paying rent on time and may just be in a momentarily bind, on another, there are tenants who habitually make late payments. Then there are those who are flat out failing to pay rent. Whatever the situation may be, follow these tips to ensure you’re protected against bigger headaches down the road. Let’s face it, even the best tenants experience periods of financial difficulty. Regardless, it’s your tenant’s responsibility to reach out to you and explain what’s causing their inability to pay rent. Whether or not they reach out first, communication between you and your tenant must be documented in writing. Getting everything in writing not only holds your tenant accountable but it could serve as an important legal record should an eviction case be necessary. Is your tenant’s financial problem temporary? Does he/she understand the seriousness of the situation? Is this tenant generally good when it comes to paying rent on time? These three questions will allow you to get a sneak peek of what’s about to transpire so you can come prepared. If the answers to the questions above are all NO, there’s a big chance it would be best to evict your problem tenant and replace him/her with a better tenant that respects your lease agreement and is capable of paying on time without any issues. A well-thought out lease agreement includes an agreed-upon grace period for remitting rent. However you’d like to proceed, follow your lease terms and be prepared to give your tenant the grace period indicated in the contract. Even if you have no intention of evicting your tenant or you are willing to negotiate payment terms for the month, you must follow through with an eviction notice after the grace period is done. This is a must for your own protection in court if your tenant fails to remit payment as negotiated and an eviction ensues. A notice to vacate is easily the most important document when it comes to filing an eviction. 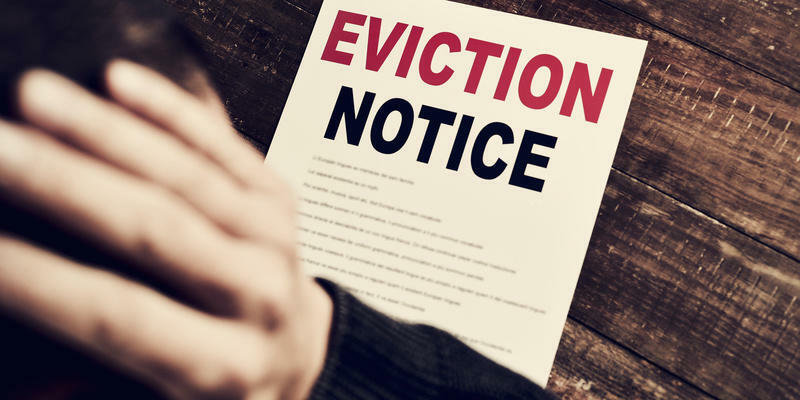 You could easily lose the case if you have an improperly written or improperly delivered eviction notice.That being said, just because you deliver your tenant an eviction notice doesn’t necessarily mean you have to pursue the action. If you’re willing to give your tenant more time to pay, it would be the best course of action to deliver the notice regardless. This not only protects you from dire consequences in the future but also sets a precedent that you take the rental agreement seriously and that you are not to be taken advantage of. To ensure you’re drafting a legally viable eviction notice, you can look into using professional eviction services who are knowledgeable when it comes to the proper rules and procedures in your state. Beyond following the rules, eviction services can help ease the transition if you need to proceed to filing an eviction. While you may be compelled to give your tenant a chance, you really have to take a hard look and evaluate whether or not you should evict your tenant most especially if this is not the first time he/she failed to pay rent. If it’s clear to you that your tenant really isn't capable of paying rent, don’t think twice about evicting him/her from your property. Your property is no good to you if its occupied by a tenant who is intent on breaking the contract or is truly incapable of paying what is due. Don’t waste more time and money dealing with a problem tenant. Look into evicting your tenant and replace him/her with a better tenant. Don’t get taken advantage of. Whether you’re a private property owner or a multi-family property manager, you don’t need the hassle of dealing with a tenant who cannot pay rent. Keeping a problem tenant in your property will cause you more stress, more lost time, and more lost income in the long run.